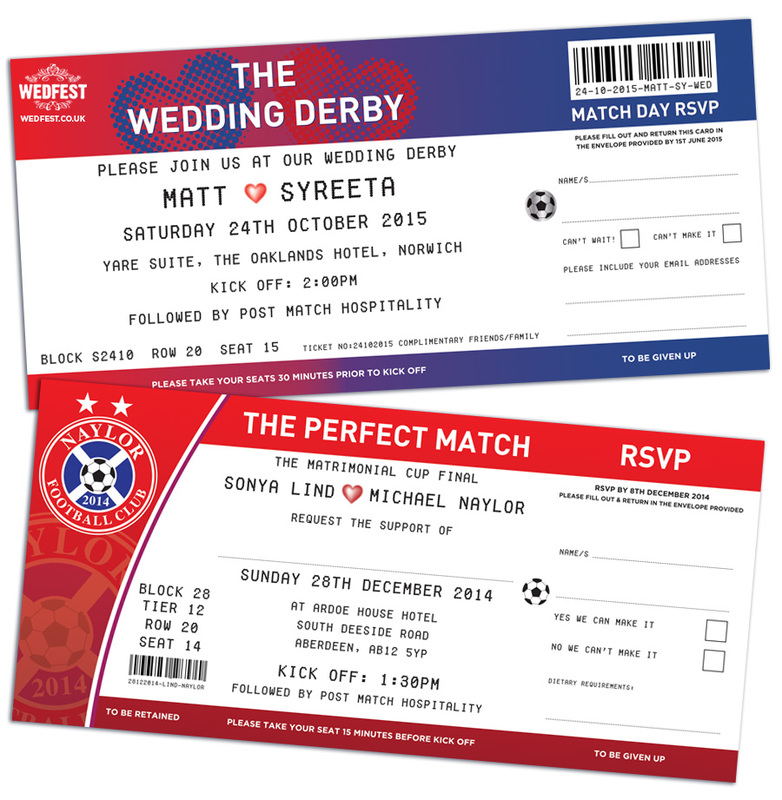 The Perfect Match Football Ticket Wedding Invites – Last year I designed a football ticket wedding invitation for a couple from Scotland and ever since have been getting regular requests to create similar styled football tickets for other couples wedding invites. I have a few different football ticket wedding invite designs at the moment but the the theme of this particular design is called ‘The Perfect Match‘. 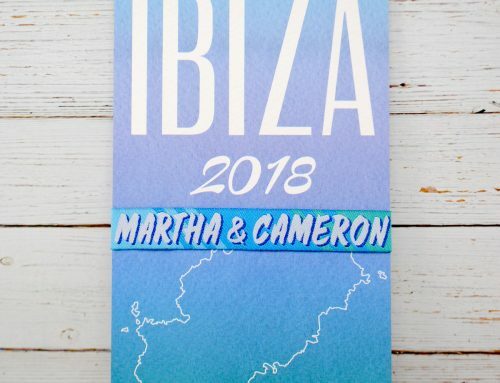 Most of these couples are huge football fans and usually support two different teams so they requested invites that look like a football ticket to a football match featuring the teams that they both support. These invites are pretty cool and bring in a football theme while also keeping a wedding and love theme running throughout the invitation design. 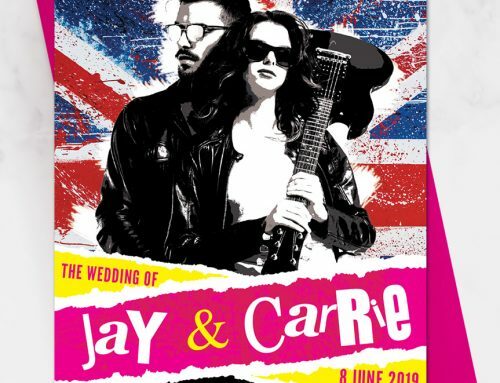 Obviously The Perfect Match is actually referring to the Bride and Groom being a perfect match, and the the hearts in the background and colours of the invites can be adjusted depending on the football teams colours. In place of the VS which would usually go in between the two teams, or in this case the bride and grooms names, I have replaced it with a heart which is a similar shape to the V.
As the invites are football tickets there is a ticket stub which doubles as the wedding RSVP. This is a perforated stub which can be easily tore off and sent back to the bride and groom with various details such as whether or not the guests can attend the wedding and food choices amongst other details. The detailing of the invite follows what you would regularly see on a football ticket including seat numbers, stand numbers etc which all correspond in this instance to the date of the wedding. 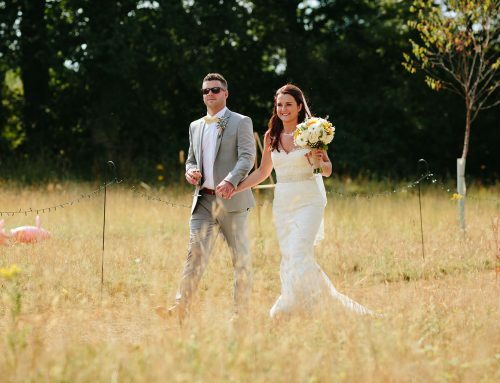 If you like the look of these Football Ticket Wedding Invites and would like more information on them or any of the wedding stationery that you have seen on this website please click here to get in touch.